Though ideally you’d keep all your natural teeth, sometimes a tooth extraction is the smartest choice and a necessary first step for restorative or cosmetic work. At their practice in The Woodlands, Texas, experienced dentists David B. Epstein, DDS, and Nikita Vakil, DMD, perform tooth extractions and make the procedure routine. To learn if an extraction is the right option for your dental problem, call or click today. Getting your wisdom teeth (third molars) extracted is almost a rite of passage for young adults. Often, these teeth become impacted — or stuck beneath your gums or jawbone — and need to be extracted. In addition to wisdom teeth, you sometimes need to get other teeth pulled as an adult. If your tooth is significantly decayed or infected, pulling it may be better for your dental health than attempting to salvage the tooth. Getting a tooth pulled no longer means a permanent gap in your smile, and Dr. Epstein and Dr. Vakil can replace extracted teeth with implants, which look and function like a natural, healthy teeth. 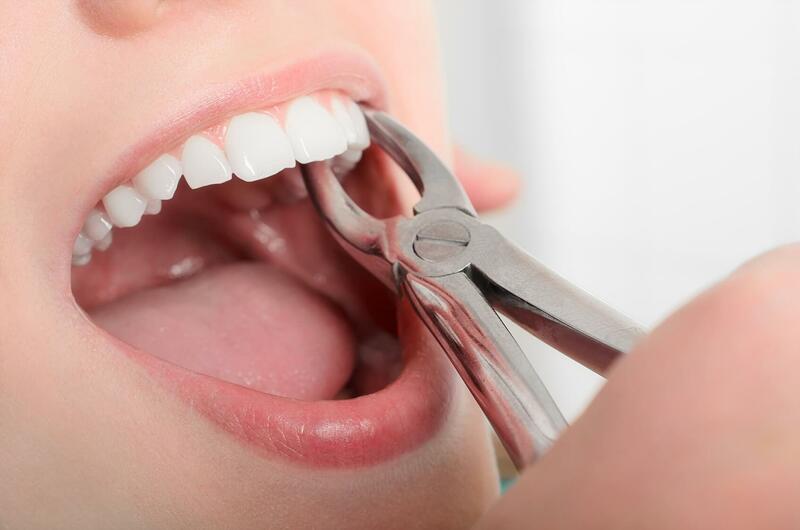 Tooth extraction is also sometimes necessary to prepare you for orthodontic treatment. If you don’t have enough space in your lower or upper jaw for your teeth, resulting in crowding, you may need to have some of the teeth extracted. Then, orthodontic treatment can effectively align the remaining teeth. What’s the process for getting a tooth extraction? To determine if you should get your tooth pulled, Dr. Epstein or Dr. Vakil take X-rays of your teeth. This helps them determine the best approach for removing the tooth. Your dentist also takes a detailed medical history to ensure you can safely have your tooth pulled. If you have certain conditions that weaken your immune system — such as diabetes — your dentist may prescribe antibiotics to take before or after the procedure. Before the extraction begins, your dentist injects a local anesthetic into the treatment area. You may also receive a sedative if you have a complicated case, are having multiple teeth extracted, or are anxious about having dental work done. If you have an impacted tooth, your dentist removes gum and bone tissue that’s blocking the tooth. Then, they gently loosen the tooth from your jaw bone and remove it. Though a tooth extraction is a low-risk, straightforward procedure, you do need a few days to recover from it. Allow yourself a full day of rest, sure to take any painkillers and antibiotics Dr. Epstein or Dr. Vakil prescribes as directed. It’s normal to experience some swelling or bleeding, and though this is normal, be sure to call your dentist as soon as possible if it’s severe. To ensure a successful recovery, you also need to exercise caution around the treatment area following the procedure. Don’t rinse or use a straw for the first 24 hours after the procedure, eat soft foods, and be sure to avoid the extraction area when you brush and floss. If you have a tooth that may require an extraction, call the office of David B. Epstein, DDS, and Nikita Vakil, DMD, or use the online booking tool today.